»» Download Picture Merge Genius for free! Picture Merge Genius ::: a computer program that allows users to merge photos. »» Download OrderProg Duplicate Finder for free! »» Download OrderProg Duplicate Video Finder for free! »» Download AnyCap Screen Recorder for free! »» Download Batch Watermark Creator for free! Batch Watermark Creator ::: a computer program that allows users to protect their photos with watermarks. »» Download Footej Camera for free! 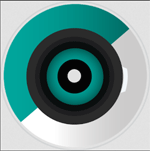 Footej Camera ::: a program for smartphones that allows users to control the phone's camera. »» Download Camera MX for free! Camera MX ::: a program for smartphones that allows users to control the phone's camera. Using Camera MX, you can take quality photos, record videos in 4k if your phone hardware allows it or you can do Time-lapse. »» Download Silent Camera for free! Silent Camera ::: a program used to control the phone's camera. »» Download A Better Camera for free! 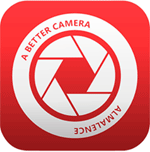 A Better Camera ::: an application for mobile devices that allows you to control the photo camera. »» Download Fancy Photo Editor for free! Fancy Photo Editor ::: a program for mobile devices that allows users to edit images.